Bees are amazing critters. They build ideal hexagonal honeycombs; they communicate through dance; and they solve the “traveling salesman” math problem while pollinating $20 billion worth of US crops each year. On Monday, April 6, at 7 PM, Wonderfest and Ask a Scientist present Noah Wilson-Rich, PhD — author, beekeeper, and Chief Scientist at The Best Bees Company — on Our Future with Bees. Please join Dr. Wilson-Rich at a brand new Wonderfest venue: PianoFight. This new club is located in San Francisco at 144 Taylor Street. We and the bees will occupy PianoFight’s main dining/performance area where “classic California Americana and a twist on nostalgic concessions” will be served along with beer, wine, and vintage cocktails. This event is FREE, but please register here. Also, arrive early to enjoy the food & drink AND to make sure that you get a seat! 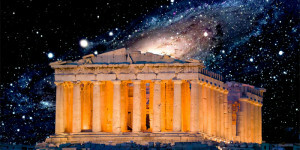 Nine days later, on Wednesday, April 15, Wonderfest and Ask a Scientist will take a deep look at our ancient scientific heritage when we present The Sciences in Ancient Greece and Rome: How Far Did They Get? at Oakland’s Chabot Space and Science Center. Our dynamic speaker, Dr. Richard Carrier, will reveal just how much the Greeks and Romans achieved — and how close they got to their own scientific revolution. Please purchase tickets directly from Chabot. Bees are amazing critters. They build ideal hexagonal honeycombs; they communicate through dance; and they solve the “traveling salesman” math problem while pollinating $20 billion worth of US crops each year. The world’s bees can improve economic and ecological sustainability, too, if only we let them. We know the vital importance of bees, yet we also know that they are dying off. 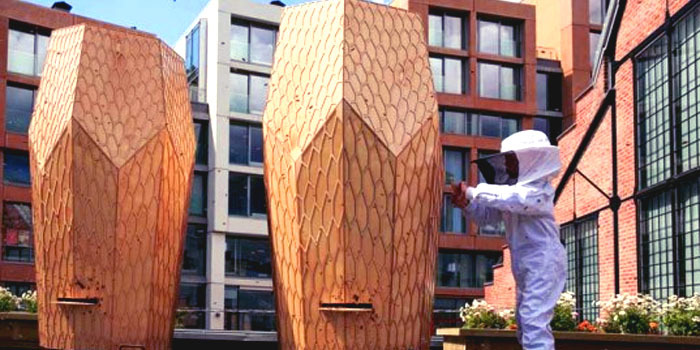 What does the future human condition look like in a world that incorporates bees into our architecture, healthcare, and everyday lives? 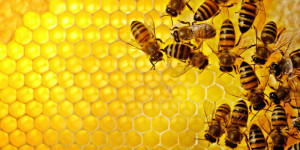 Join Noah Wilson-Rich for a dynamic discussion about bees and how they fit into our future. 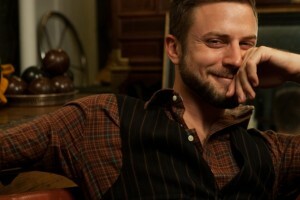 Noah Wilson-Rich, PhD, is a behavioral ecologist and beekeeper. He is the author of The Bee: A Natural History (Princeton University Press, 2014) and founder of The Best Bees Company. ADMISSION: FREE admission. Please register, below. Wonderfest works every day to promote the scientific outlook. For as little as $1/month, why not become a Wonderfest Patron? As the Medici family were patrons of popular art in old Italy, you can become a patron of popular science and rationality in the modern Bay Area. (And you’ll get that tax-deduction that the Medici never did!) Please become a regular supporter of Wonderfest, and help enlarge the concept of scientific community. If you shop at Amazon.com, why not shop at AmazonSmile? It doesn’t cost you a dime extra, selection and prices are the same, and a small percent supports Wonderfest and science! http://amazon.wonderfest.org.